If you want to drive for Uber in Calgary, Registries Plus in Calgary East is here to help you get your documents in order. It’s a relatively simple process and we are here to help. Take the Class 4 Knowledge Test. We recommend that you read the Commercial Driver’s Guide as well as the Class 7 Learner’s Driver’s Guide as there will be questions on the test from both books. When you feel that you are fully prepared, come in with your Class 5 Non-GDL Licence and we will set you up at a computer to take the test. The test is available in English only and no translations are allowed. You need to get 25 questions correct and once you get 6 questions wrong, the test stops. You can take one test per day. No appointment is required. The cost is $17.60. Once you pass the Class 4 Knowledge Test, you will need to get a Driver’s Medical Completed. You can download and print the Driver Medical Form here or ask for one when you complete your knowledge test. This service is not covered by Alberta Health – please ask us for a referral to a doctor who can provide this service for a minimal cost. With your Class 4 Knowledge Test and medical complete, you will be eligible immediately to go for the Class 4 Road Test. The cost is $149.90 (includes all fees, permits and taxes). The test takes 45-60 minutes. We recommend that you review Preparing for Your Road Test before your test. You can book your road test in our office (no need to take a number – just proceed to the Road Test desk) or call us at 403 207-5158. After you pass your Class 4 Road Test, you can re-class your licence for $22.45. You will receive an interim (paper) licence and the actual card will arrive in the mail 2 weeks later. In order to drive a vehicle with paying passengers, you will need a Class 1-55 (Ride for Hire) plate. The cost for this plate for the year is $91.45. However, the month that the plate expires depends on the last name of the registrant and the fee is pro-rated accordingly. In order to issue a new plate, we will need to see valid insurance (digital or paper copy) in the registrant’s name. In Alberta, Uber provides insurance for ridesharing through Intact insurance, but the vehicle still requires its own policy in addition to this. Uber will require a Driver Abstract. We can provide these on the spot for $28.65. You will have to choose between 3, 5 or 10 years and Commercial or Standard. We encourage you to verify the exact requirements with Uber before ordering your Driver Abstract as we cannot refund or exchange the abstract product after it has been ordered. 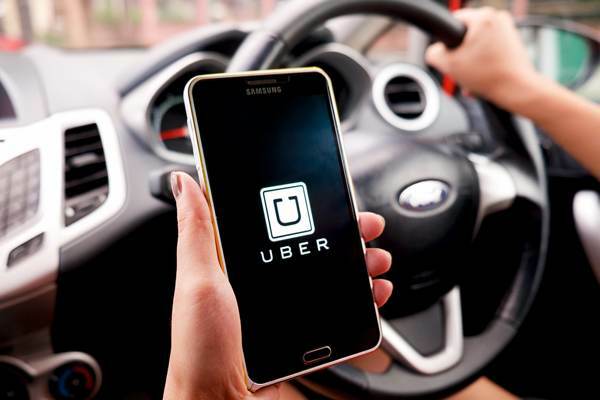 When you have completed your Class 4 Driver’s Licence and registered your Vehicle with a Class 1-55 plate, you will be ready to apply to drive for Uber. Please visit the Uber website for application requirements.